According to my iPhone that is. See the thing is I love my monstrous camera but the problem is well it's monstrous. So the majority of the time I take a lot of pictures with my phone cause you know it's just chillin right there in my backpack and is light as a feather. So get ready!!! Cause there are a lot of pictures! Just waiting for the BART. It is how I spend most of mornings, well except for the weeks that you know I had to work from home oh and then you know the whole BART strike shenanigans. I really like public transportation. My only problem it is so hot inside those cars. Took home some light reading from work. It was so up lifting. Caring about the world is depressing. We moved our office the second week I was there. So the first week it was kind of a disaster. It is a good thing I am excellent mover and packer. Thank you 3 1/2 years in the dorm. I bought some new socks!!! Yep that's right Happy Socks! They are just so much fun! Plus they are pretty much the only thing I can afford at Madewell. 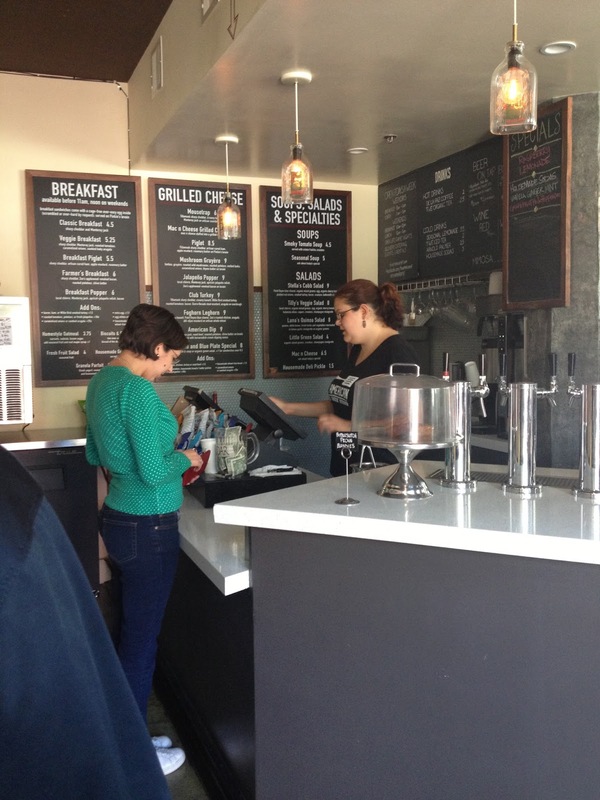 I was so sad our office moved because it was next to the most amazing grilled cheese sandwich restaurant. I mean that was what they served...grilled cheese. It is kind of like a dream come true. I mean doesn't this bad boy look delicious! 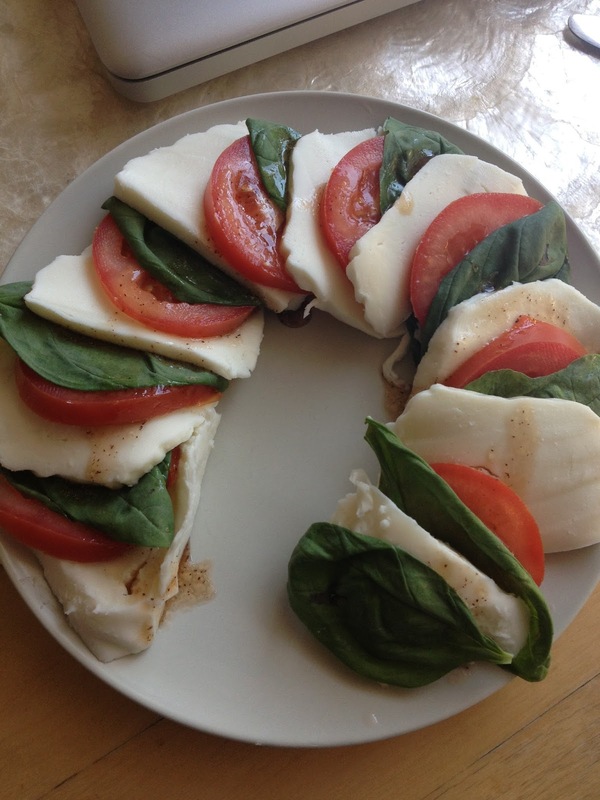 I made my self some caprese salad. Good thing I did, cause two days later I killed my basil plant. 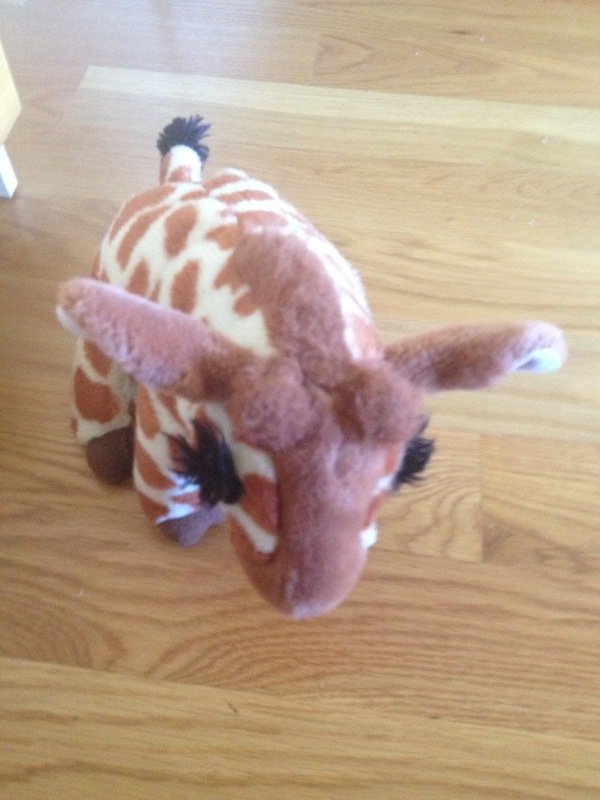 But don't worry I got a new one and he has been going strong for four weeks now. 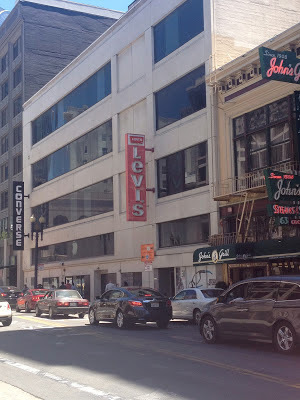 I attempted to visit the original Levis store. Sometimes finding things are hard. 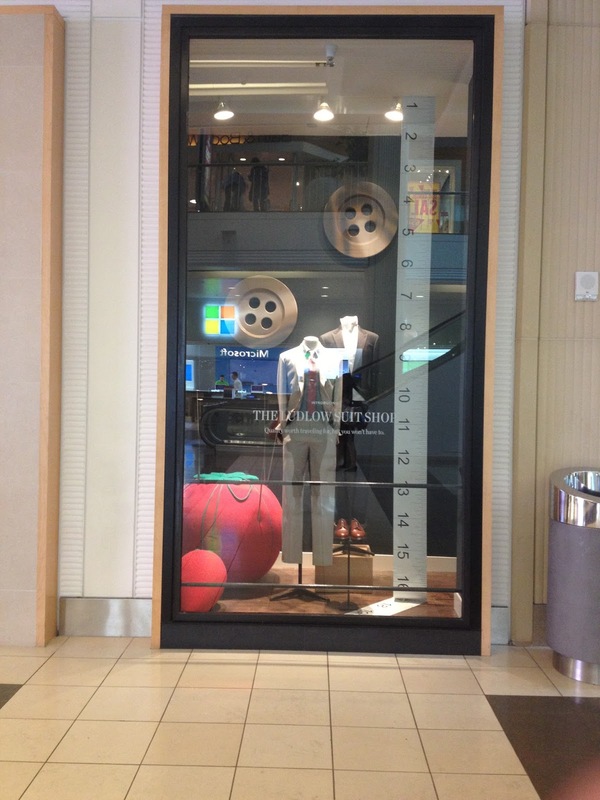 Probably the greatest window display I have ever seen at J. Crew. I mean look at that giant pin cushion. 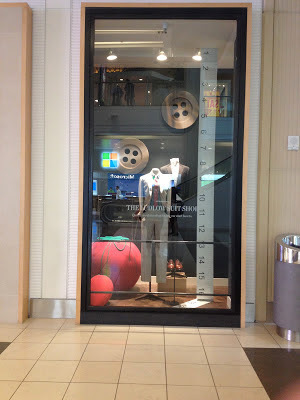 I was so tempted to try and climb into the window display and just sit right down. 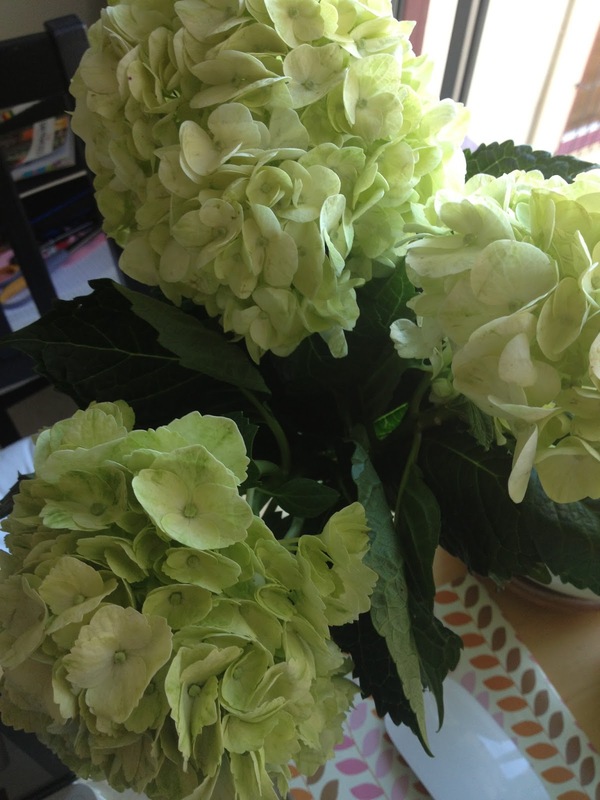 I bought myself some beautiful hydrangeas to keep me company during my week of working at home. Finally found a Trader Joe's that has cookie butter in stock. And I forced my friend Tircia to buy one too. I got myself some new kicks. Because mint green doesn't go with everything. But off white that goes with everything. Found an in n out. 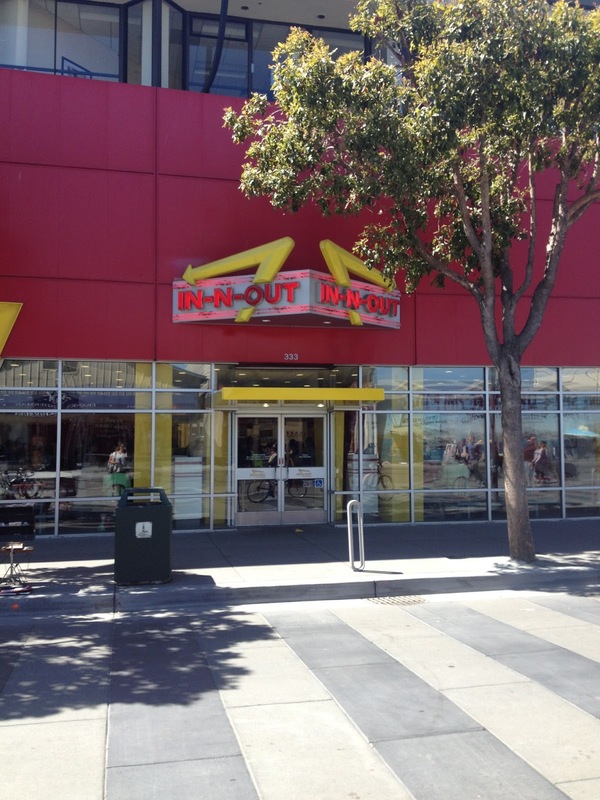 So strange that it doesn't have a drive through. 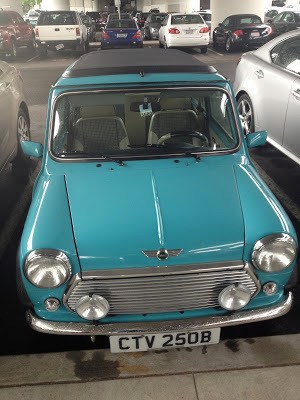 This little guy was parked in the BART parking lot. And oh my gosh I seriously considered stealing. By our new office in Oakland there is a donut store that sells mini donuts. I love Martinelli's Apple Juice. We work in the penthouse of our building. That really just means it is the top floor and we do have roof access. I spent some time sorting buttons last week. Reminded me of being back at CLU prepping for orientation. I woke up one morning and turned over and Lola was just standing there staring at me. Yep it was real creepy. 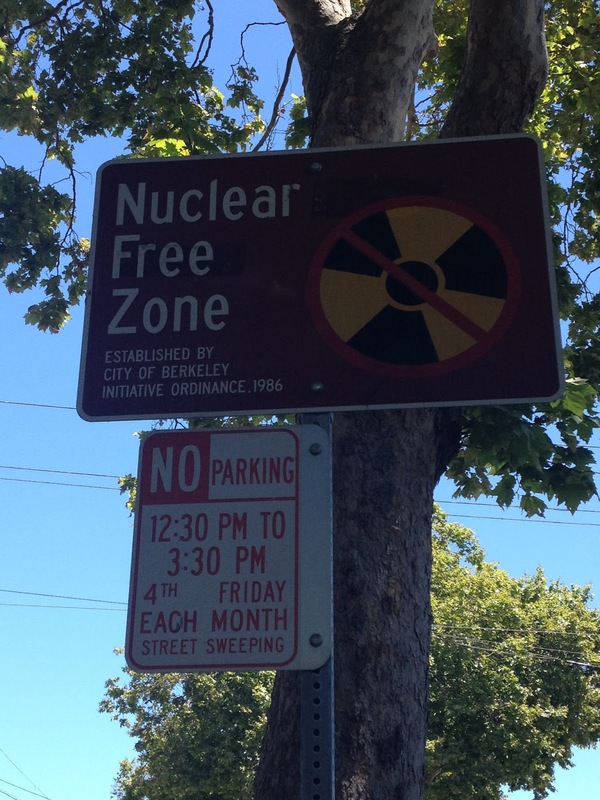 Don't worry I live in a Nuclear Free Zone. The line for the bus in downtown Oakland during the BART strike. I choose to walk to work. but it was way more interesting than a crowded bus. So excited for July 1. 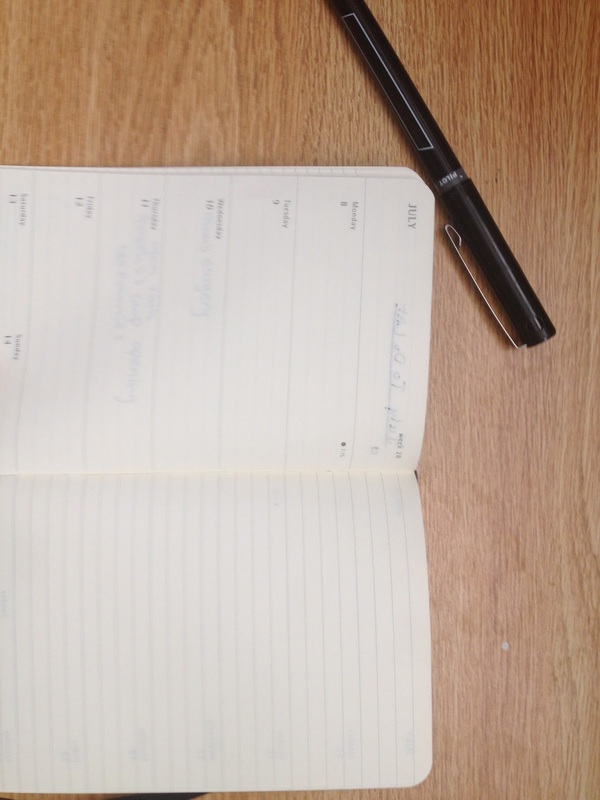 It meant I could use my new moleskin planner. Makes me feel super grown up and like there are big and important things written in there. Spent some more time working at home thanks to the BART strike. So naturally I wore my moccasins. Oh and I attended my first Rally. protest of the keystone pipeline. Of course I got sun burned.